Here's mine! 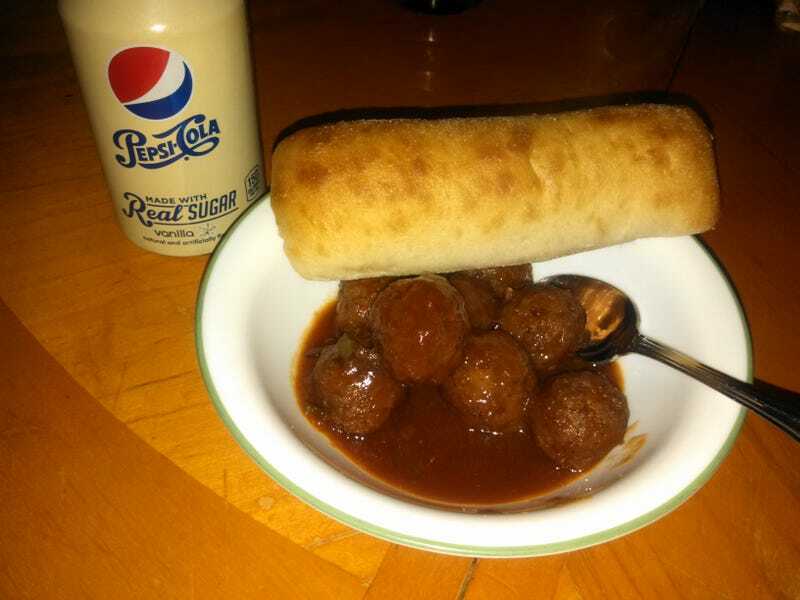 Sweet and Spicy meatballs with a ciabatta roll and a vanilla Pepsi. I'm proud of these meatballs. They're just frozen meatballs (we're back housesitting again), but I made a sauce out of random crap that tastes fantastic. Apricot jam, cocktail sauce, ketchup, red wine, chopped jalapeños and some of the juice, a splash of lemon juice, cayenne, garlic salt, and dried chopped onion. So. Good.